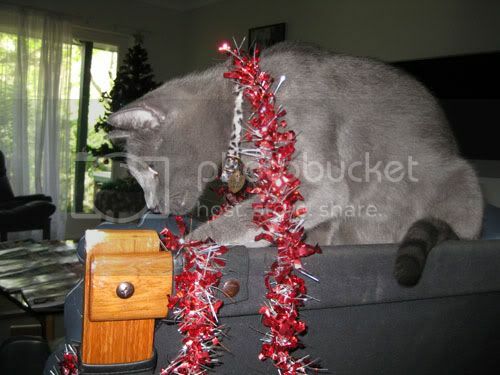 He was quite happy to play with the tinsel until I whipped out my camera for the photos. ;p He's getting a little tired of it there, owing to the fact that the tinsel, while shiny, doesn't really fight back. I'm having a nice, relaxing Christmas at home. I hope everyone else is having safe and happy holidays too!